Fashion is experimentation, and if you keep the sophistication it can also be eccentric. You have to break rules, if there is a good reason! And now is the right time to be daring. 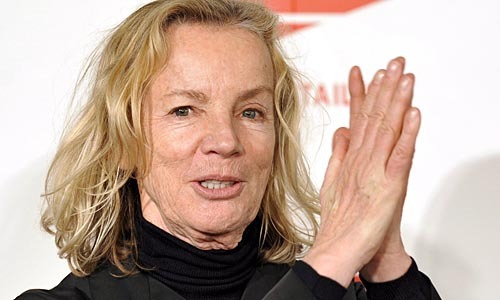 – German fashion designer Jil Sander, who recently took back creative control of her brand. Image courtesy of Steve Madden. 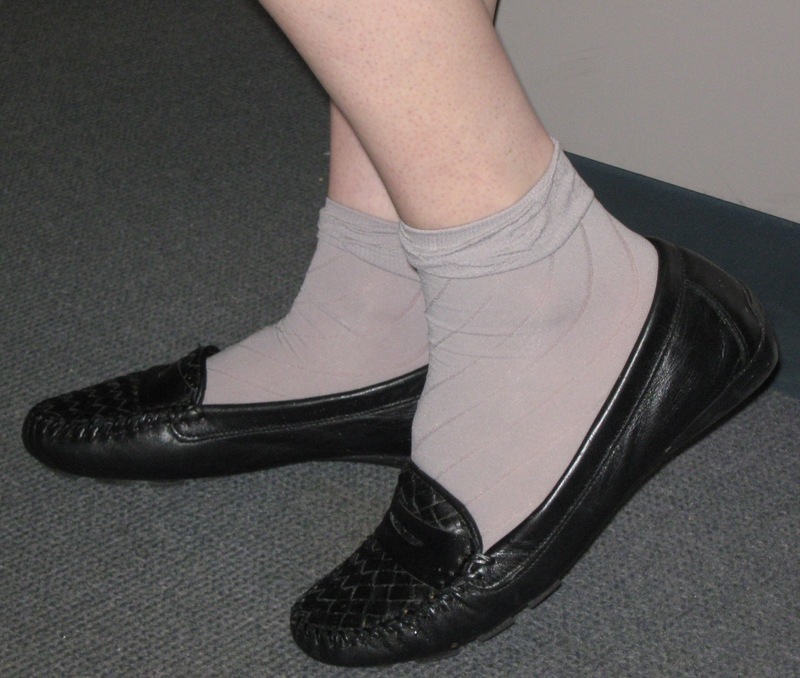 I got excited a few years ago when I noticed that designers were showing slinky socks. 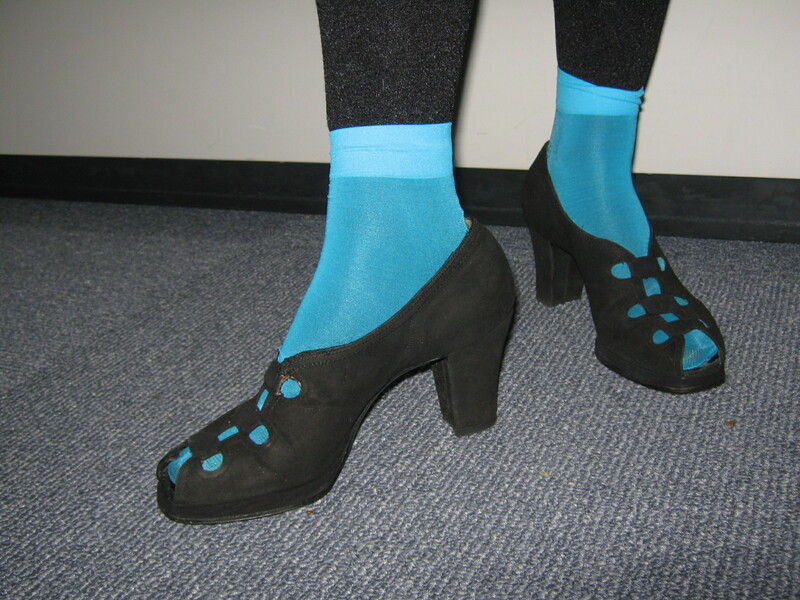 Socks with flats, socks with ankle boots, socks even with pumps and platforms. Every season since then socks have shown up on the runways and in print ads, but not on the streets. Until now. 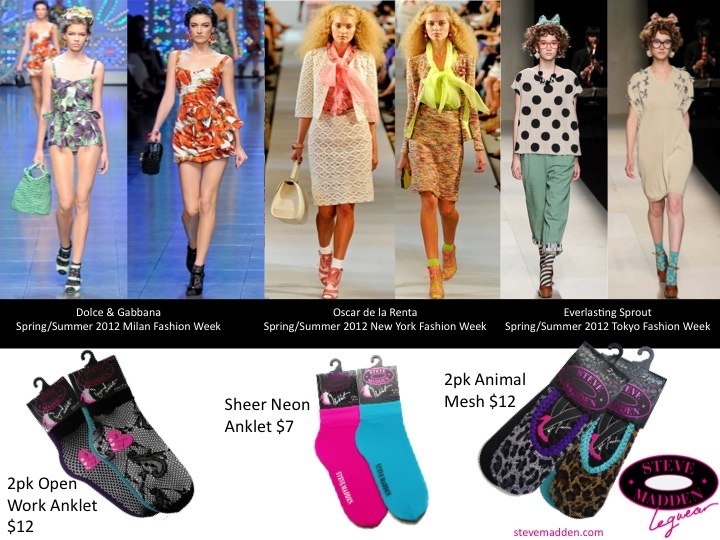 Steve Madden Legwear has designed a line of socks to cover every foot’s desire – print, lace, neon, footies, anklets, and my favorite over-the-knee. I’m a sock gal from way back. 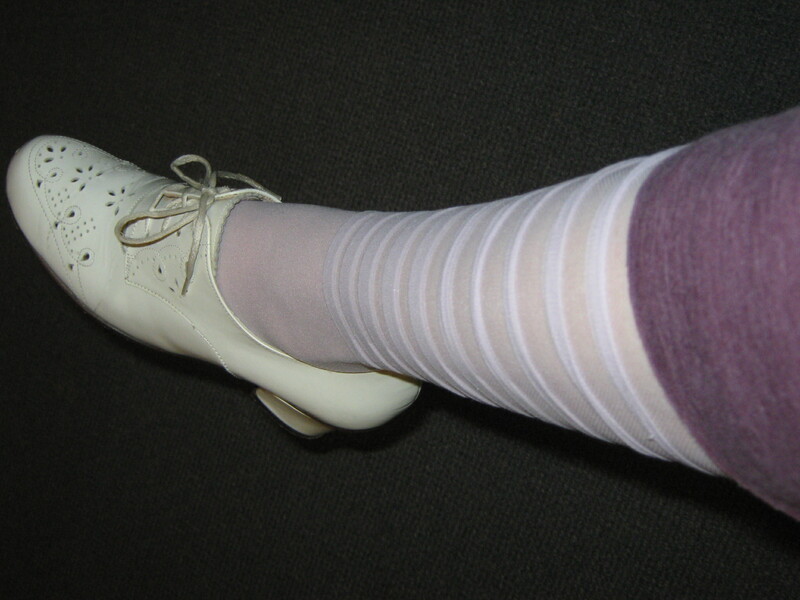 In high school I sported anklets with 1940s-style wedge shoes and often I layered my socks combining colors like pink and gray or red and black. So I was over the moon when Steve Madden Legwear sent an array of styles from their new line for me to try. Sheer Neon Blue Anklets: It’s all about color this season and what a simple way to add a bright hue. These are thin and easy to wear – perfect for summer. For a museum exhibit opening, I layered mine with black tights and paired with 1940s platform shoes. The unexpected bright color was quite the eye-catcher among the artsy crowd. Over-the-knee in Gray: Super comfortable these are made from a soft light cotton with ribbing. I like the fact that they’re warm without being too bulky. They’re good with boots as well as with a walking shoe and I think they’d be super cute with a pair of Kork-Ease on those occasional chilly summer mornings. 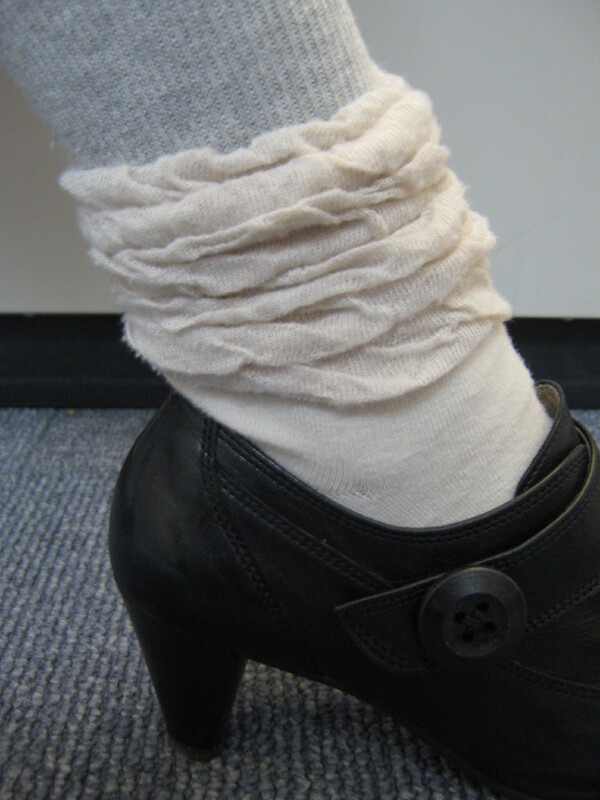 Notice the top of the sock is a thinner slouchy material. They tend to slouch down below the knee, but that’s kind of a cool casual look. Sheer Over-the-knee: The design detail around the leg feels very 1920s and reminds me of something Daisy in The Great Gatsby might wear under one of her chiffon gowns. A sheer soft violet color these are dressy and perfect for a summer garden wedding or any festive event. The only problem is they fit very tight above the knee. That’s great for keeping them up, but a little painful. I rolled them down below the knee and that was fine, but of course they should be worn with a longer hem. Fancy Anklet: My friend Lauren Devenney, who studied fashion design at California College of the Arts, wore these and likes the soft texture as well as the diagonal ladders in the knit. Lauren feels the ruffle at the top looks unintentional but she likes the casual feel of the design. “They haven’t been slipping or slouching at all and the lack of constriction is actually quite lovely.” She also comments that they machine wash really well with no snagging or pilling. Multiple Ruffle Anklet in Oatmeal – The ruching detail is another unexpected touch. These are quite comfortable and fit nicely – not too thick and not too thin. Pair with bright-colored Capris and a pump and we’re talkin’ 80s retro. Love it! I am impressed with Steve Madden Legwear. They are stylish, comfortable and fit well, which says a lot because most socks these days are too big for me. But I do have one disappointment – the selection I received were all made in China. Regular readers know that I prefer to support Made in America. I’m hoping as more and more apparel manufacturing returns to the U.S., so will Steve Madden Legwear. I’m interested in creativity, the evolution of creativity and the relationship between creativity and the times we live in. – Designer Raf Simons who is the new couturier at Christian Dior. My mother and I had a festive Easter Sunday this year enjoying tea sandwiches, strawberries, and champagne. But the best part was spending most of the afternoon sifting through my closet assembling the perfect outfit for the upcoming Art Deco Preservation Ball on May 5th, 2012 at Bimbo’s in San Francisco. This year’s Ball is extra special because we’re all celebrating the Diamond Jubilee of the Golden Gate Bridge. In honor of the bridge’s opening in 1937 attendees are encouraged to dress 1930s, which is one of my favorite eras. I’m keeping my outfit a secret but I will say that it has Mom’s approval. My beau and I are looking forward to dancing to Don Neely’s Royal Society Jazz Orchestra with Carla Normand and Frederick Hodges. Vocalist Sara Klotz de Aguilar will perform and The Dimestore Dandy Ricky Quisol will be playin’ his old-time tunes. Plus local businesses and individuals who work to preserve and promote the Art Deco period will be recognized. Poster art by John Mattos. Image courtesy of The ADSC. 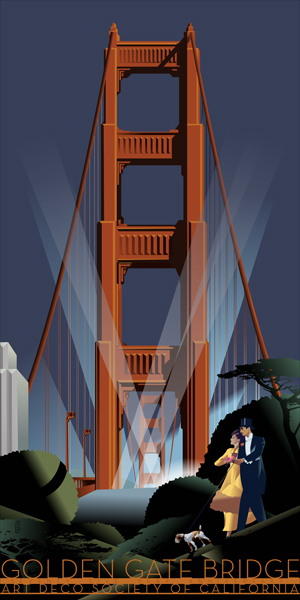 The Art Deco Society of California continues to celebrate the 75th anniversary of the opening of the Golden Gate Bridge with the unveiling of this fabulous poster designed by local artist John Mattos. I agree. Mr. Mattos nicely captures the bridge’s angular Deco quality that we all love. I particularly like the rich colors he uses and inclusion of the nattily dressed lady and her dog. The poster measures 16 inches by 32 inches and is printed on 30 percent recycled archival quality paper. The ADSC is selling this poster as a fundraiser for the organization. A mere $75 will bring this collectible to you and support the ADSC, which strives to increase awareness of the Art Deco era as well as to preserve and promote its art, architecture, music, fashions, and other aspects of the period. 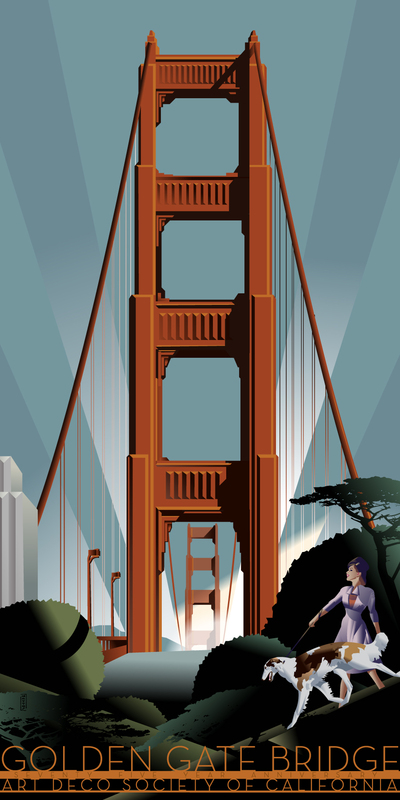 I see this poster as the perfect gift for any admirer of the Bay Area, Art Deco enthusiast, SF native … heck, anyone with impeccable taste! 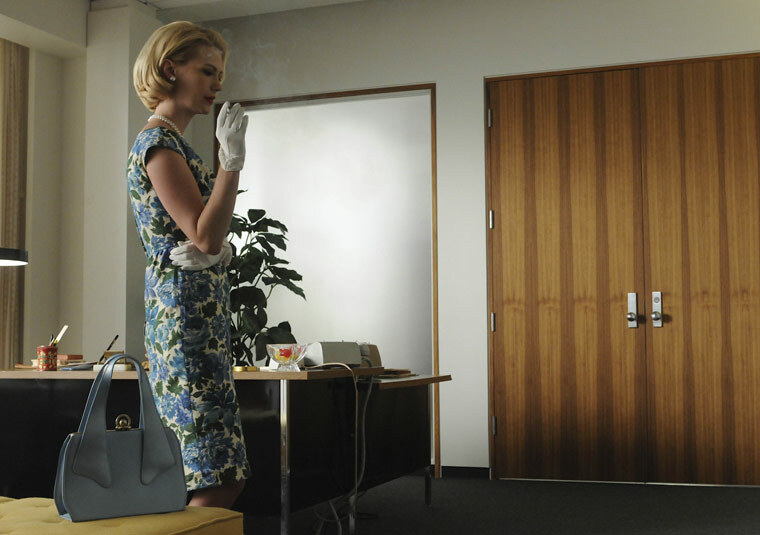 January Jones as Betty Francis in Mad Men. Photo courtesy of AMC. … that’s an amazing freedom that we have now, that there’s no real set style. It’s just however you want to represent yourself each day. It’s kind of an art form. – January Jones, actress on Mad Men. I agree with Ms. Jones, that today there is no particular style nor any rules like there was during the Mad Men era of the 1960s. To me that’s good and bad. 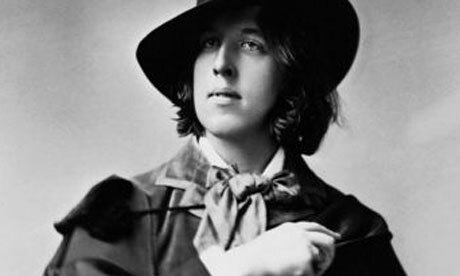 It’s great that we have the freedom to experiment and use fashion as an art form, but the down side is most people no longer know how to dress well and we don’t have many role models. Without a set style and guidelines we are confused and frankly the default look is often inappropriate and/or sloppy. Personally, I think that’s a shame.